This page includes The WFSC Announcements columns from the 1995 issues of Across the Fence Post. 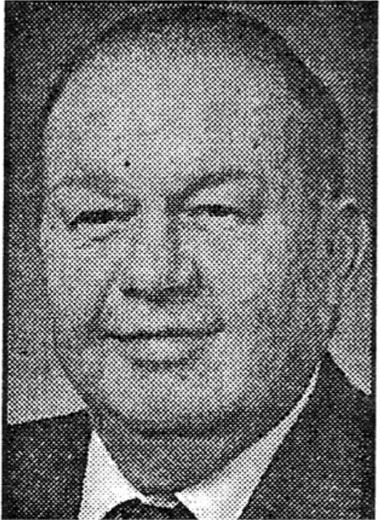 As of January 15, 1995, Ron Fritz, of the Wisconsin Valley Philatelic Society (Wausau) will take over duties of WFSC Central Region VP for retiring Roy Northwood. 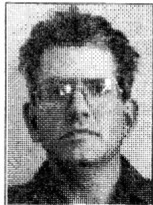 Ron is 34 years old and lives in Rothschild, WI. He is employed at the North Central Health Care Facilities, in Wausau. 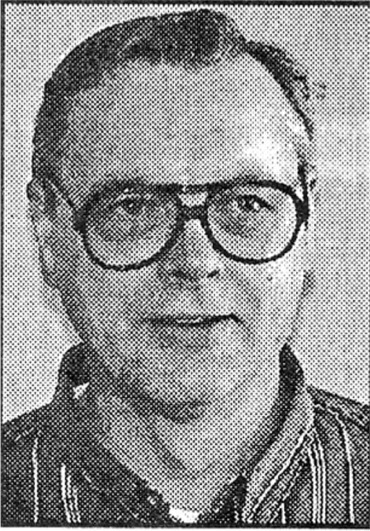 Judges for WISCOPEX '95 are Frank Moertl, from Hartland, WI; Arthur Schmitz, of Milwaukee; and Vern Witt, Sheboygan. Judges will evaluate exhibits for award placements and special awards in four major divisions: Open, Single-frame, Junior, and Champion of Champions. They'll present a Judges' Critique at 3:30 p.m., on Saturday, April 22. To receive a copy of the Exhibitor Prospectus and Official Entry Form, write to: WISCOPEX '95, 4184 Rose Ct., Middleton, WI 53562-4339. Note, these documents will not be published in Across the Fence Post. Frames are limited and entries are due by March 1. 1995. • Reserve a February or March '95 club meeting date. Trivia questions, entry form and contest rules will appear in the February '94 issue of Across the Fence Post. Entry form with answers must be submitted by April l.
The Chippewa Valley Stamp Club, of Eau Claire, WI, held WFSC membership during the years 1981-83. At that time, the group called itself the Chippewa Falls Stamp Club. The CVSC has 26 members. They meet at 7:30 p.m. the third Thursday of each month at the Eau Claire Parks and Recreation Building, 1300 1st Ave. Skip Solum currently holds the office of president of the group, John Bennett is treasurer, and Karen Johnson has been appointed the WFSC representative. Here's a big WELCOME BACK to the Chippewa Valley Stamp Club! President Greg Schmidt has called a meeting of the Executive Board for Saturday, February 25. The meeting will be held at the Holiday Inn Southeast, Madison, WI. To receive a copy of the Exhibitor Prospectus and Official Entry Form, write to: WISCOPEX '95, 4184 Rose Ct., Middleton, WI 53562-4339. Note, these documents will not be published in Across the Fence Post. Frames are limited and entries are due by March 1, 1995. Effective immediately, all advertising materials can be sent directly to: Ron Hayes, 2641 20th Ave., Monroe, WI 53566 - phone (608) 325-4929. Please continue to send "Stamp Show Calendar and Registry" listings to the editor. We welcome Ron back to his position of ATFP advertising manager! Organized in 1917, the 32nd "Red Arrow" Division was composed of National Guard troops from Wisconsin and Michigan. The division's major role in World War II was to stop the Japanese invasion of the Southwest Pacific. In 1943, it gained the first allied victory of the war in Buna, New Guinea The division island-hopped all the way to the Philippines and ended up in Tokyo. The Badger Stamp Club, host of WISCOPEX '95, will give away six $10 gift certificates for WISCOPEX '95 bourse purchases. Drawings will be made each day of the event at 11:00 a.m., 12:30 p.m., and 3:00 p.m. The show also will feature a Youth Room with activities for young stamp collectors.. This most popular comprehensive document will be updated and sent to all member clubs with the September issue of Across the Fence Post. Fliers are for distribution to your membership and to visitors at your upcoming events. If you want your show/bourse to appear on the list covering events thru the summer of 1996, send details by no later than August 15, 1995, to: Karen Weigt, 4184 Rose Ct., Middleton, WI 53562-4339 - phone (608) 836-1509. E-mail addresses are shown below. May-June and July-August issues are scheduled for the summer months. Deadlines for the July-August issue are June 1 for advertising and June 5 for editorial. We'll return to monthly issues in September. The WFSC Executive Board appointed Allan C. Marcus to serve as WFSC vice president for the current remaining term. Douglas Galaszewski's resignation on April 22 created a vacancy of office. Marcus' appointment became effective on April 22. The term expires on December 31, 1995. 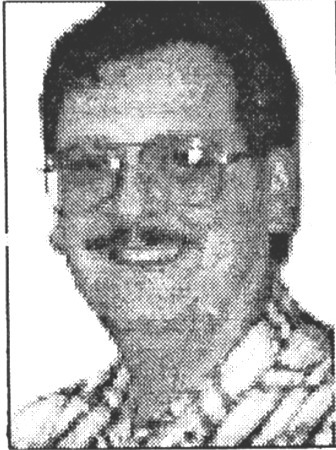 Delegates at the 1995 Annual Business Meeting elected Jerry D. Weasner to serve as the next WFSC president. He will assume the office on January 1, 1996. Weasner is the current president of the Chain-o-Lakes Stamp Club, Waupaca, WI. Thank you, Carl J. Ziesemer of Plainex Stamps for a monetary donation in support of youths who participated in the show. Thank you, Dennis R. Lemke of University Avenue Stamps for donating a healthy supply of the 3 ¢ Victory stamps used on the WISCOPEX '95 show cover and prizes and gifts for the WISCOPEX youth activities. Thank you, E.V. Smith (Fond du Lac), and the Ripon Philatelic Society for more WISCOPEX '95 youth activities prizes and gifts. This most popular comprehensive document will be updated and sent to all member clubs with the September issue of Across the Fence Post. Fliers are for distribution to your membership and to visitors at your upcoming events. If you want your show/bourse to appear on the list covering events thru the summer of 1996, send details by no later than August 15, 1995, to: Karen Weigt, 4184 Rose Ct., Middleton, WI 53562-4339 - phone (608) 836-1509. May-June and July-August issues; return to monthly issues in September. After a final review on May 15, 1995, the Internal Revenue Service declared the WFSC would retain its 501(c)(3) non-profit status. This confirms an advance ruling of this status held by the WFSC since November 1990. The WFSC again extends its thanks to Art Arntsen, of the Badger Stamp Club, for auditing the WFSC's 1994 financial records. Nominations are now being accepted for the 1996 Wisconsin Philatelic Hall of Fame. The deadline is December 31. 1995. Qualifications required of nominees are: (a) contributions of a purely local club nature shall not be the sole reason for selection to the Hall of Fame; and (b) a deceased philatelist may not be nominated or considered for selection until three years after his/her death. The WFSC will again sponsor the annual nationwide cover exchange program in which all stamp clubs, philatelic organizations, and individuals may participate. This is an opportunity for clubs with leftover show, commemorative and first-day covers to reduce their inventory by exchanging them for different covers that can be used as club auction items, door prizes or gifts. The exchange program is being conducted in conjunction with National Stamp Collecting Month in October. The exchange offer will expire October 31, with returns being made to participants by mid-November. Participants must submit 10 all-alike covers and a large 55 ¢ SASE. In ex-change, eight different covers will be sent back. (The extra covers will be used for the WFSC's youth program.) Only unaddressed cacheted covers bearing either pictorial or first-day cancels will be accepted. A maximum of 20 covers can be submitted. The cover exchange program coordinator reserves the right to return covers considered unsatisfactory for exchange. To participate, send your covers and a 55 ¢ SASE to: WFSC, P.O. Box 1451, Waukesha, WI 53187. Nominations are now being accepted for the 1996 Wisconsin Philatelic Hall of Fame. The deadline is December 31. 1995. Qualifications required of nominees are: (a) contributions of a purely local club nature shall not be the sole reason for selection to the Hall of Fame; and (b) a deceased philatelist may not be nominated or considered for selection until three years after his/ her death. The WFSC will again sponsor the annual nationwide cover exchange pro-gram in which all stamp clubs, philatelic organizations, and individuals may participate. This is an opportunity for clubs with leftover show, commemorative and first-day covers to reduce their inventory by exchanging them for different covers that can be used as club auction items, door prizes or gifts. The exchange program is being conducted in conjunction with National Stamp Collecting Month in October. The exchange offer will expire October 31_, with returns being made to participants by mid-November. Participants must submit 10 all-alike covers and a large 55¢ SASE. In exchange, eight different covers will be sent back. (The extra covers will be used for the WFSC's youth program.) Only unaddressed cacheted covers bearing either pictorial or first-day cancels will be accepted. A maximum of 20 covers can be submitted. The cover exchange program coordinator re-serves the right to return covers considered unsatisfactory for exchange. To participate, send your covers and a 55¢ SASE to: WFSC, P.O. Box 1451, Waukesha, WI 53187. President Greg Schmidt has called a meeting of the Executive Board for Saturday, November 4. The meeting will be held at the Grand Seasons Hotel, Waupaca, WI. Anyone who is interested is invited to attend and is extended the right of discussion, but only members of the Executive Board, specific appointees, and the chair or appointed representative of a committee are permitted to vote. To be included on the mailing list for specifics regarding the meeting, contact: Karen Weigt, Secy., WFSC, 4184 Rose Ct., Middleton, WI 53562 - phone (608) 836-1509.